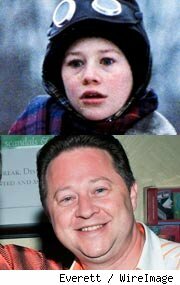 Then: Before fist-fighting bullies on his quest for a BB gun as Ralphie Parker, Billingsley was a child actor in well over 100 TV commercials — including him portraying Messy Marvin for Hershey’s Chocolate Syrup. 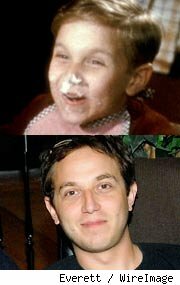 As the dumb-lucked Ralphie Parker, Billingsley delieverd one of the most famous child actor performances in film history. The image of him, with glasses and a smile on his face, getting pushed down a long slide by the boot of a stern department store Santa Claus is indelible. Then: Until ‘A Christmas Story,’ McGavin had been known primarily for his TV acting; he played the title roles on ‘Mike Hammer’ and ‘Kolchak: The Night Stalker,’ as well as a series regular on the western ‘Riverboat.’ McGavin stole scenes as the sailor-mouthed Parker pop, who was as delusional about his handiness with home appliances as he was about his own swearing, and in the end, he “heroically” buys the boy that air rifle. Now: Dillon is largely a private person, but has continued to act. 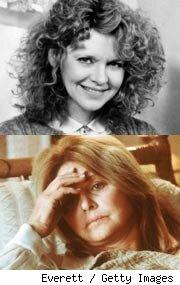 After ‘A Christmas Story,’ she appeared not only in ‘Harry and the Hendersons’ but also had a memorable role in Paul Thomas Anderson’s ‘Magnolia’ as TV game show host Jimmy Gator’s wife. 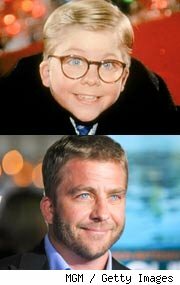 Then: Petrella’s acting career had begun at age three but landing the role of Ralphie’s younger brother, Randy, in ‘A Christmas Story,’ was his big break. Interestingly, while Petrella was not recognized immediately for his strong performance, two years later he was nominated for a Young Artist Award for the role. Now: Petrella continued to act, and at 17, was the youngest member of the famous L.A. comedy troupe the Groundlings. Later, Ian discovered a love for puppetry, which he worked on and studied around the world. He also studied animation and continues cartooning to this day. Now: In 1987, Schwartz, with his father, began managing a sports and movie memorabilia collectibles store ingeniously named Baseball Cards – Movie Collectibles Etc. After a questionable foray into adult films in the 1990s, Schwartz returned to the collectibles business and, in 2006, started a line of celebrity-based trading cards. He still appears in the odd direct-to-video movie. Now: Robb went on to appear in several TV shows and movies, most notably ‘The Brady Bunch Movie’ (as Charlie Anderson). 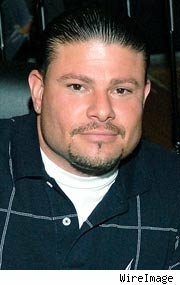 In the past decade, Robb has transitioned to a producer role; he has half a dozen direct-to-rental features to his name. Robb’s most interesting post-‘ACS’ project was ‘Don’s Plum,’ the scandalous 1995 short film he directed, which featured Leonardo DiCaprio and Tobey Maguire. Robb and co-producer John Schindler tried to release the short as a feature-length movie, but were blocked by a law suit from DiCaprio and Maguire. 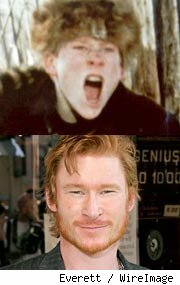 Then: In the long list of great 1980’s bullies, Ward’s portrayal of the yellow-eyed Scut Farkus sits near the top. This role marked the Canadian born Ward’s acting debut. Now: But it certainly did not mark the end of his career, because Zack Ward has continuously worked in TV and movies ever since. From 1983 to 2010, he appeared in 80-plus projects — he’s turned up in everything from ‘Dollhouse’ to ‘The Transformers’ to ‘Deadwood’ to ‘Resident Evil: Apocalypse’ to ‘CSI’ and so on and so on. 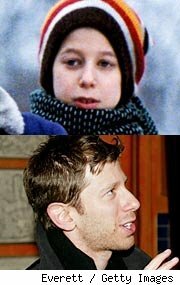 Then: Born in London, England, Anaya played bully Scut Farkus’ “toadie” pal Grover, who helps antagonize Ralphie. Now: If you’re a fan of Van Halen (and who isn’t? ), you may remember Anaya as the young Michael Anthony in the music video for ‘Hot For Teacher.’ Anaya also appeared as a paperboy in ‘Better Off Dead,’ but stopped acting not long after that. Now: Like many others, Johnson, Hocevar and Gillen reached their thespian zenith with ‘A Christmas Story.’ Gillen created Great Southern Studios, a production company in North Miami Beach, Florida, and was its president until 1995, when he suffered a fatal heart attack. Patty Johnson and Drew Hocevar continue to live in Ohio, where both are employed as teachers. 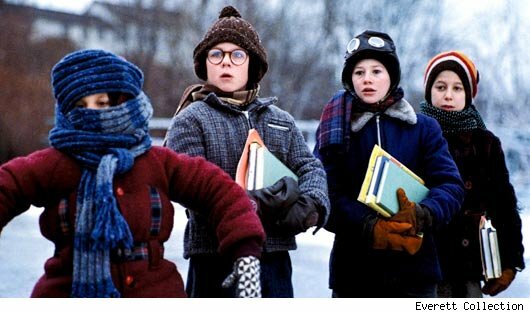 Then: Jean Shepherd narrated ‘A Christmas Story,’ giving voice to the adult Ralphie Parker, which makes sense because he wrote the Christmas adventure based on semi-fictional stories from his own childhood in Hammond, Indiana. Shepherd’s screenplay includes previously released material from several of his books. 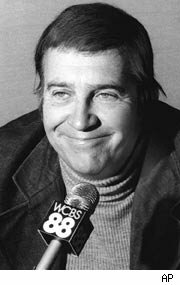 Also, Shepherd knew his way around a microphone, as he had a very popular three-decade radio career, during which he told stories, read poetry and organized listener stunts. Now: Jean Shepherd never stopped creating and delighting audiences. 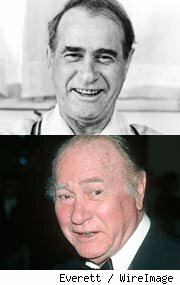 From 1948 onward, he put on live shows at major universities and theaters, and after ‘A Christmas Story,’ he successfully focused his efforts in television, most notably on PBS. 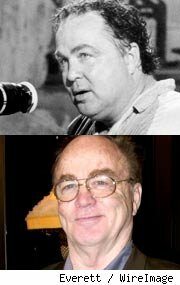 Shepherd died in 1999 of natural causes.